RTF Helicopters, Really "Ready To Fly"? 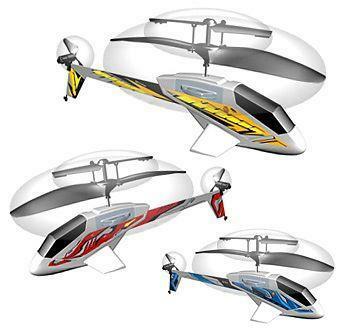 Electric RC Helicopters have enjoyed a sudden rise in popularity due to recent significant improvements in the radio-control and electronics industry. As their components improve in quality while at the same time getting cheaper in price, many manufacturers launch beginner models labeled as RTF or "Ready to Fly"- but are they really? In fact, the phrase "Ready to fly" was born in the days of more "traditional" RC aviation. What it actually meant, at least initially, was "required no assembly". It didn't mean that RTF kits didn't require set-ups, tuning, or tinkering before it could take to the air. Nowadays, however, new pilots just starting out with this hobby expect their new model that comes labeled as "flying right out of the box" to do just that. Unfortunately, that is not always the case. Very often, beginner pilots realize that RTF helicopters are not so "ready to fly" when they learn that keeping them in the air is quite difficult, especially for four channel models. While there are co-axle models available which are relatively easier to handle, they too require hours of training. Also, these helicopters with their rotor blades spinning at extremely fast speeds can cause serious injuries. Therefore, no one would want an out-of-control helicopter of any size in their vicinity. Many would soon conclude that even for these RTF fliers, the best approach is to first learn in a simulator. This fact alone means that even easiest to fly RTF helicopter requires practice, and often times, lots of it - upsetting the very concept of "flying right out of the box". RTF Helicopters doesn't always come with everything you need to fly as most people would think either. The most common missing component is the battery back for the radio controller - they usually come with a battery rack that requires 4 to 8 AA alkaline batteries. More serious fliers usually end up buying a rechargeable pack not long after their initial purchase of the kit. Another popular missing component is a battery charger. These RTF kit usually comes with very rudimentary adaptor that you can plug right into your battery pack, which by all accounts, doesn't constitute a "charger". They don't even cut the electrical flow when the battery is full (which, by the way, may lead to over charging and ultimately, the explosion of the battery pack). In fact, many find it ironic that these RTF kits include a battery pack but no charger. Not until very recently has this issue been addressed and few very new models (such as the LAMA IV by Esky) come complete with an adequate charger. 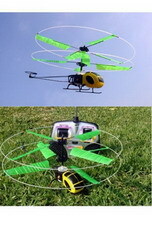 Nevertheless, there are some helicopters that are truly "ready to fly" right out of the box. These are the 2-channel models such as famous Picoo Z. Not only are they ready to fly, they are palm-size, allowing for them to be flown just about anywhere that is windless. These little fliers are also pretty durable, enabling them to withstand crashes after crashes. However, they are much less maneuverable than four-channel models. 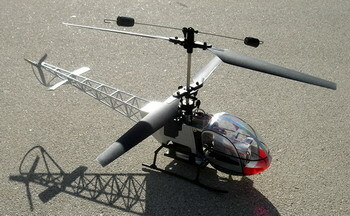 All in all, there are many kinds of RTF kits and some are more "ready to fly" than others. Those who want models to work seamlessly right out of the box can settle for 2 channel models, compromising maneuverability. On the other hand, those who want more flight-capable models may go for 4 channel models, only to find that they are not as ready to fly as advertised. Nevertheless, these RTF kits provides a great lesson for enthusiasts new to this hobby; one that teaches them to fly as well as to endlessly enjoy setting up, modifying, and upgrading their models.